Many people wonder if chimney cleaning logs really work. The answer is yes and no. Chimney cleaning logs can reduce some of the creosote buildups. However, they are not a safe replacement for a professional chimney sweep and inspection. Whenever you burn fuel in your fireplace, gas particles travel up and out of your chimney. Some of the gas particles fail to completely exit the chimney. These particles condense and stick to the inside of your chimney, forming a thick tar-like buildup called creosote. Creosote is highly combustible. 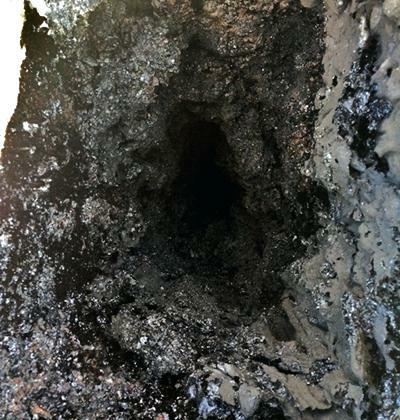 The Chimney Safety Institute of America (CSIA) identifies creosote buildup as a common cause of chimney fires. In theory, chimney logs release a chemical that causes the creosote to become flaky and brittle and fall through the flue. Chimney cleaning logs only reduce some of the creosote. They do not clean to the professional standards required to reduce potential hazards within your chimney. A professional chimney sweep includes more than cleaning your flue. A professional completes an inspection, cleans the chimney and educates you on potential hidden hazards within your chimney. Creosote buildup is only one of many factors that can affect your chimney. Whether or not chimney cleaning logs work depends on how you define “work”. Do they reduce some of the creosote buildups? Yes. Do they do a good enough job for you to be confident that your fireplace is as safe as possible? No. Are they an acceptable replacement for a professional chimney sweep and inspection? Never. A professional is the best option. Are you ready to get your chimney cleaned by a professional? Be sure to read this article on how to choose the right professional chimney sweep company. A gas fireplace is one of the easiest ways to add the appeal of flickering flames and warmth to your home. Gas fireplaces turn on at the touch of a switch or a preset temperature. They are clean, giving the heat benefits of a wood fire without the debris, ashes, or maintenance. In the Wasington DC Metro Area, installing a gas fireplace is a cost-effective way to keep your home comfortable whenever the weather outside is too cold for comfort. Gas fireplace are wonderful. However, they must be installed correctly or there could be serious problem. All Pro Chimney Service is committed to providing the best gas fireplace installation service in the region. 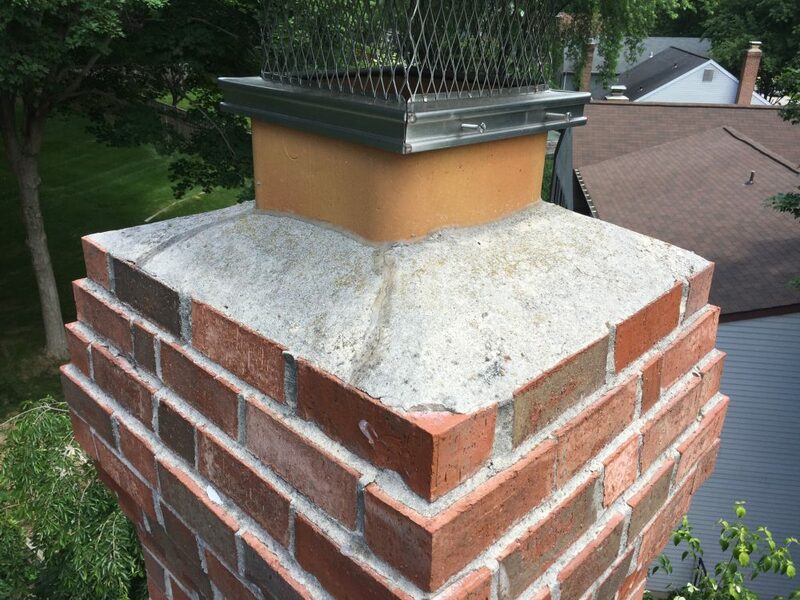 All Pro Chimney Service is a local family-owned company that knows the local codes and will comply with them. All Pro Chimney Service is proud to be a member of the National Chimney Sweep Guild (NCSG) and the Mid-Atlantic Hearth, Patio & Barbecue Association (HPBA) and holds to the high professional standards these groups represent. Our service technicians complete ongoing training and recertifications to ensure they stay aware of the latest trends, techniques and technology in the chimney industry. All Pro is not captive to a specific fireplace manufacturer. As a result, our customers have a wide variety of options. Customers can select the style, color, features and functions that are the best fit for their home. All Pro estimators work with customers with the customers interest in mind. Conversations are focused on what is best for the customer. The estimators listen to their customers and then use vast industry knowledge to make customers fireplace dreams a reality. 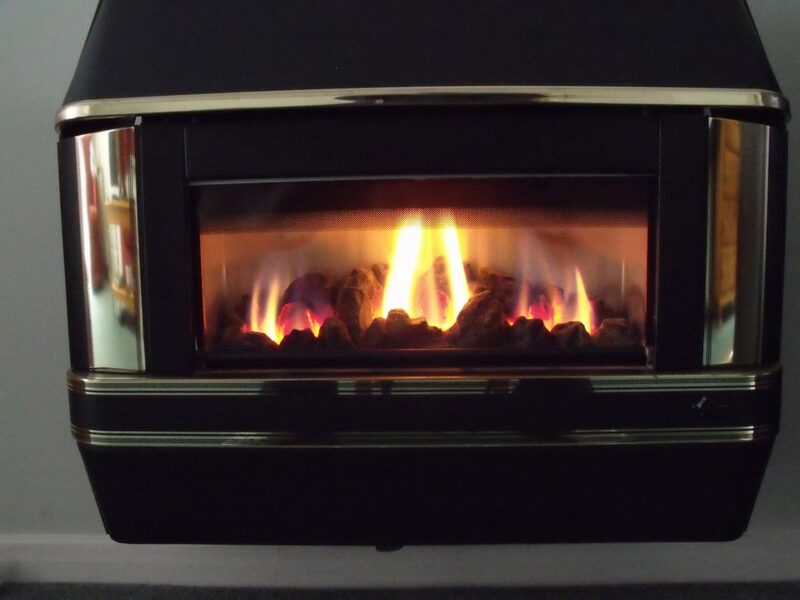 We can install all brands of gas fireplaces, even those we don’t regularly carry. Do you have a fireplace that you already purchased? We can install it. You need a service that believes you should receive personalized attention and that you should be able to be as involved with the process as you want to be; even if you want to work alongside the service team to have a hand in upgrading your home. There are a lot of reasons to want a gas fireplace installed in your home. In order to keep enjoying that gas fireplace for years, you need a service that meets the criteria listed above. All Pro Chimney Service meets every one of those requirements and we would love to show you what we can do for you. Call us, we are always ready to serve. If your home has an open masonry fireplace, you may want to consider having a fireplace insert installed. A fireplace insert is a fireplace contained in a metal box that converts your home’s inefficient, masonry fireplace into a gas, wood-burning, or pellet stove. Many homeowners in the Washington DC Metro Area find installing a fireplace insert to be a great option to increase energy efficiency while maintaining the natural beauty of a fireplace. For this reason, many chimney and fireplace companies like ours find fireplace inserts to be in high demand. How does a fireplace insert work? In simplest terms, a fireplace insert consists of two parts: a steel shell and a firebox. The firebox is designed to contain a fire (and its heat) so that rest of the room is heated with minimal waste. The steel shell surrounding the box helps to improve efficiency. Together, these two components work to make your home’s fireplace safer and more energy efficient. Not sure which is right for your needs? Explore some details about each fireplace insert below. Unrivaled ease of use! Just flip a switch to get your fire started; no need to buy firewood or pellets. Low maintenance! No ashes to clean out after each use and no dangerous creosote deposits to worry about building up. More precise temperature control than a wood-burning or pellet fireplace. Environmental friendliness! Fewer pollutants released into the atmosphere. If you’re considering a gas fireplace insert, it is worth noting that the cost of fuel to run your gas fireplace will likely remain higher than the cost of firewood or wood pellets, so this should also be taken into consideration as you make your choice. Being able to retain the look and feel of a “real” fire. Achieving the smell of wood burning, which many people enjoy. Improved energy efficiency when compared to an open wood-burning fireplace. Added safety when compared to an open fireplace. Furthermore, the cost of purchasing firewood tends to be much less expensive than paying for gas or even pellets for a pellet stove. Keep in mind, however, that you will need a place to store firewood inside or outside of your home, and you will need to clean out your fireplace after you use it. A lack of creosote or other potentially dangerous build-ups. Environmental friendliness! Pellet stoves produce very little smoke. The energy efficiency of a gas fireplace with a more realistic look and feel. While there are indeed many benefits of having a fireplace insert installed in your home, there are also some important considerations worth keeping in mind before you schedule an installation. For starters, with most types of fireplace inserts, your home will need to have an existing and functioning chimney for safe ventilation of pollutants and gases created as a fire burns. If your home’s chimney is in disrepair, this is something you’ll need to address before an insert can be installed and operated. Overall, installation of a fireplace insert in your home can be a great way to improve energy efficiency and make your home’s fireplace safer. Now all that’s left to do is decide on the type of insert that best suits your needs and find a reputable company to handle the installation!